May the 13th last the Amstel InterContinental Hotel opened an exclusive bar called the A Bar. The official opening was performed by the famous soccer twins Frank and Ronald de Boer. The new bar of this famous five-star hotel, formerly known as business club De Amstel Club, has a fresh, simple and sleek appearance without sacrificing the warm atmosphere the hotel is known for. The project designer has achieved that with a few decorative accents, including handmade antique mirrors which were especially handmade by Schitterend. The architect requested antique mirrors instead of new mirrors. An antique mirror has a sense of nostalgia and history. 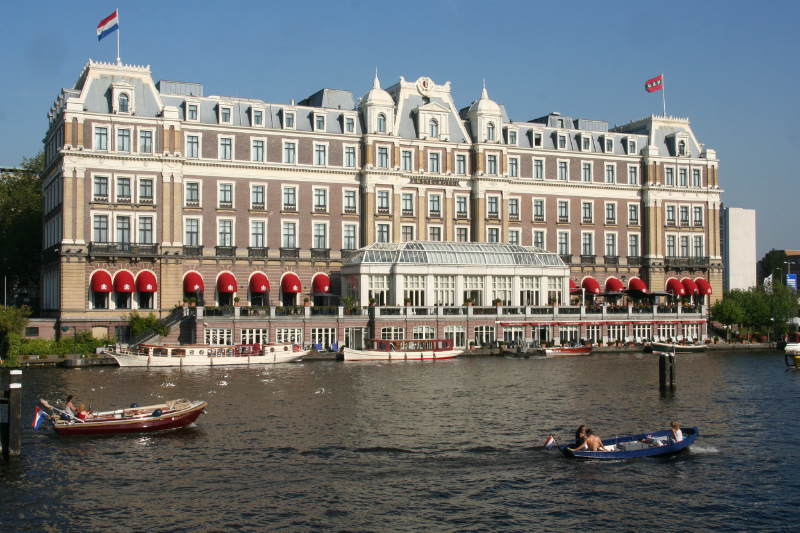 As we know the Amstel Hotel has a long history and thereto just recently the reopening of the A Bar was added. A Bar contains elements that suit a modern bar, but has also elements that build a bridge to the past. The weathered mirrors made by Schitterend stand symbol for this famous past. The mirrors were placed in different places in the bar. The start of the project was the order of six glass panels in various sizes. Then Erik Winkler (Schitterend) chemically silvered these six glass panels piece by piece. Because some of the glass panels were so large (and heavy) Erik firstly made a tilting gantry where the plates were put during the silvering process, naturally Erik was equipped with protective clothing, gloves and a gas mask. While silvering Erik made sure the corners of the mirrors got an antique, weathered effect. After completion of this labor-intensive process, the mirrors were positioned with the greatest care in A Bar. Nice to mention: A Bar is nominated for 'Best Hotel Bar in Amsterdam in 2013’. Early June the winner, out of 10 nominees, will be announced. Obviously, A Bar got Schitterend’s vote! Curious? Click on the left side in the photo slider.